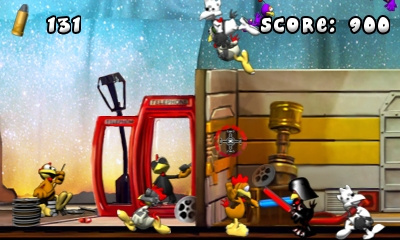 The crazy chickens are back and this time they have invaded a movie studio wreaking havoc in every corner. 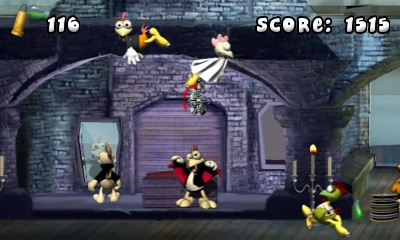 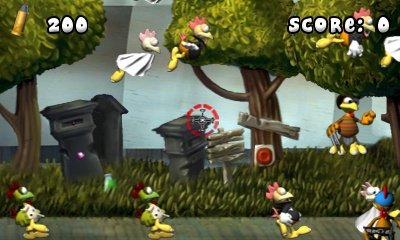 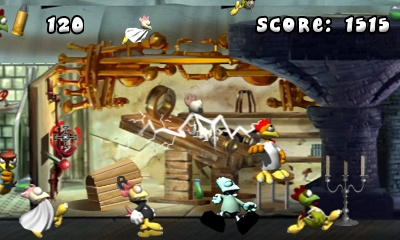 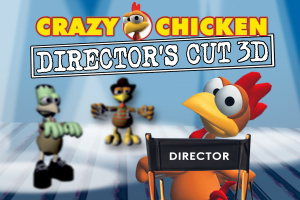 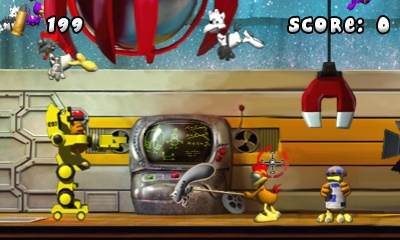 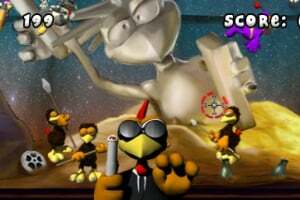 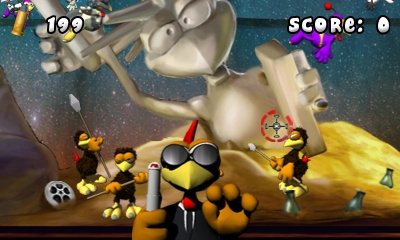 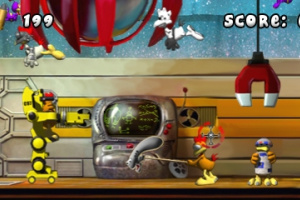 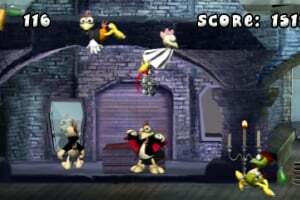 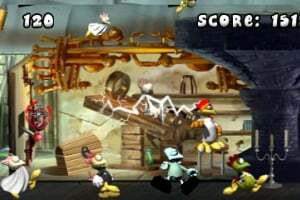 Set in two themed production sets, players are required to shoot a pre-determined amount of chickens and objects in order to unlock the following production set and proceed to the next film take. 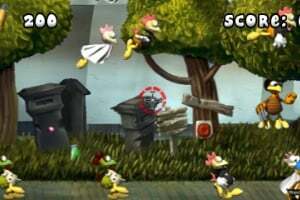 Ammunition is limited, challenging players to be as precise as possible with every shot. With chickens flying and rampaging around the sets, it is time to take position in the director’s seat. 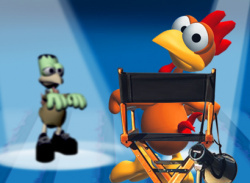 The lights are on, the cameras are rolling and now it’s time for some feathery shooting action!